In this blog, Mandy Garford from Dartford writes about raising three autistic children and why it’s important to recognise individuals and organisations who are making a difference to autistic people and their families. Sometimes, the days can be long and the nights even longer when you have children on the autism spectrum. There were so many times when I longed for people around me to think about autism first before judging. So many times I would go home and cry. Being a qualified teacher gave me little advantage in being a parent for three autistic children; they are all very different. The sheer diversity of the spectrum means that both the joys and the difficulties are never the same. As the saying goes, "when you have met one autistic person, you’ve only met one autistic person". I’ve found different approaches for supporting each of my children. For example, my eldest has similar traits to that of Pathological Demand Avoidance, which means he has incredibly high anxiety and struggles when a demand is made. So here goes the request to put on shoes: “Hey, let’s all put our shoes on! It will be fun!”. If I’m feeling brave, I might suggest the opposite in the hope that he would refuse and then put his shoes on. My youngest is "classically autistic" so simple instructions are needed: “Shoes on, now please”. ...And that’s just the shoes! If we manage to get out then we have to deal with the anxiety as well as unexpected problems: a closed road, a loud noise, a distraction, strong smells, a busy high street. Any and all of these can be overwhelming for someone on the autism spectrum and can cause what is often referred to as a "meltdown", which could mean things like screaming, crying, or running off. At this point, when a parent and child is extremely stressed and highly alert, we often get unhelpful comments from members of the public or a disapproving look. Many autistic people and families feel isolated and misunderstood. I am so pleased that more people are becoming aware of autism now, but there is still so much work to be done. The good news is that everyone can help. There are so many people, schools, and organisations doing great work to increase people's understanding of autism. Thousands of shops are taking part in Autism Hour and schools are embarking on embracing autism initiatives. A huge part of this work is recognising and sharing good autism practice. 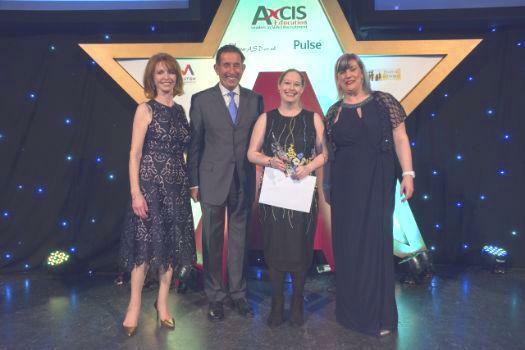 This is why the National Autistic Society's Autism Professionals Awards was set up to encourage people and organisations that are doing outstanding work with or for people on the autistic spectrum: and to inspire others to follow their lead. I was delighted (and quite frankly shocked!) to be shortlisted and named Most Inspirational Volunteer in the 2018 awards. I am the Chairperson of the National Autistic Society’s Dartford and Gravesham Branch supporting autistic children and adults, as well as their families. This involves running support groups, events, information talks, and much, much more! I use my lived experience and knowledge about good practice to hold talks and sessions with various groups: from Kent Search and Rescue, to Canterbury Christ Church University. I also held a ‘What is autism?’ day in my town centre. I am a local councillor and attend the All Party Parliamentary Group for Autism, ensuring that I am aware of anything autism-related locally and nationally. By doing this, I am building good relationships with local MPs who have consequently attended autism debates and committees in Parliament, ensuring that autistic voices are represented. There are many people like me all over the country working hard to improve public understanding of autism and improve the lives of people on the spectrum and their families. Do you know anyone in your area who deserves an award? Perhaps someone who is inspiring others in your community to understand and embrace autism: a teacher or a brilliant employer? If you do, please think about nominating them for the Autism Professionals Awards, so the National Autistic Society can share their story and increase understanding. The work is vital and it might just encourage and inspire them to continue – and other people and organisations to get involved too.